In an exit memo to federal employees at the Department of Energy (DOE), former Energy Secretary Ernest Moniz highlighted the growth of energy independence in the United States. He specifically cited the increased domestic production of oil and natural gas as the reason the United States is less dependent on foreign sources. Throughout the Obama administration, the president and his senior advisers liked to boast about increased energy production when looking for good economic news. But the facts don’t support the conclusion these officials wanted the public to draw – that the federal government was responsible for these increases. Upon closer examination, the places where the government has the most control, on federal lands, production has simply not kept pace with production on state lands. Data from the non-partisan Congressional Research Service tell the story. 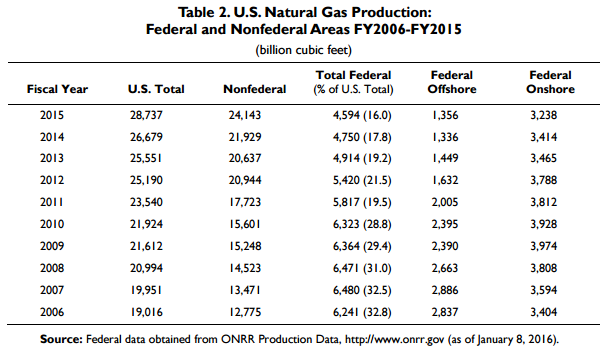 Production of natural gas on private and state lands increased 66.2 percent from 2008, the year before Barack Obama was elected, to 2015. 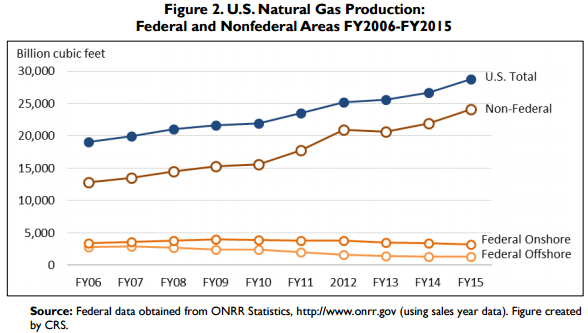 Yet the production arrow points the opposite direction on federal lands, where natural gas production decreased 15 percent. Sec. Moniz, President Obama and other federal officials have tried to claim credit for increased oil production. 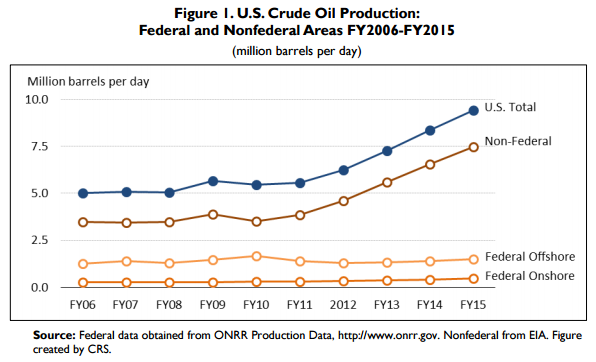 It is true that oil production has increased on federal public lands 68.5 percent since 2008. 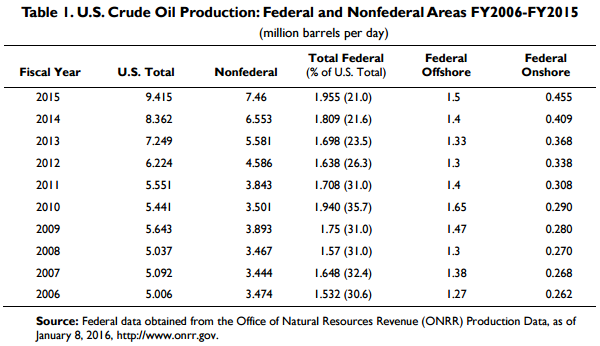 However federal oil production has lagged non-federal production. On private and state lands, production increased 115.2 percent over that same period. In fact, because non-federal lands are outpacing federal lands, the percentage of federal oil has shrunk from 31 percent of U.S. overall production in 2008 to just 21 percent.